Ever since Paper Mario Sticker Star was released and took away all the best part of the Paper Mario series, fans have been wanting a more… traditional Paper Mario experience. 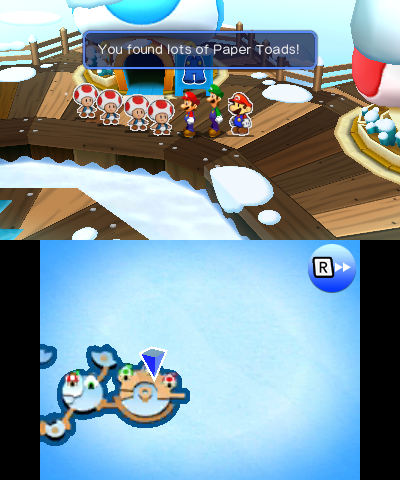 And now, you’ve got one in Mario & Luigi Paper Jam, thanks to a glitch. Once here, walk down the left wall until you hit a ‘bump’. Go up about one step, left a bit and down a step. 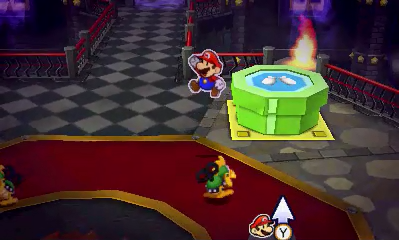 You can now run out of bounds as Paper Mario. 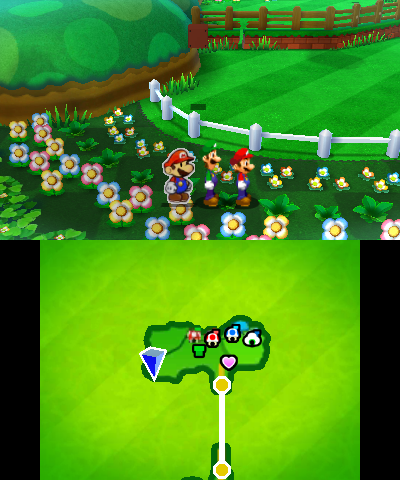 Walk out the pen by going past the walls, and you’re now playing the game without normal Mario and Luigi. And that’s it! So what can you do once you’re using only Paper Mario? The only things you can’t do are Lakitu missions (more on that latter), watch cutscenes (they usually freeze) or fight the final boss (you can’t get through the door). So yeah, it’s pretty cool, isn’t it? 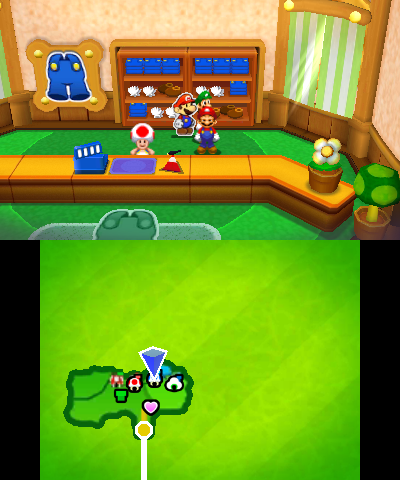 You can turn the whole game into Paper Mario 3DS, as done the right way. But that’s got to be it, right? I mean, it’s a cool glitch, but how can it get any more interesting? You end up in the place you saved again. With the whole party. And one other small thing. The ability to walk through walls. Or anything else you may feel like walking through. Above: Like behind shop counters. Above: In other random inaccessible areas. Add how you can choose where your walking through walls journey begins (which now includes places like Neo Bowser Castle, the Twinsy Tropics Dungeon, the Doop Doop Dunes Grotto and otherwise previously annoying parts of Mount Brrr), and how much height you can through repeated uses of Trio Plane, and you can pretty much play the game like some sort of god. Also amusing, the game is now very, very quick to complete due to this and the other bugs people have found. Skip through most walls, die to win most boss battles, skip half the story by entering the wrong side of Gloomy Woods… it’s very likely that by this point, the possible world record for the title is approaching the hour and a half mark, for a game which is supposed to take nearer thirty hours. 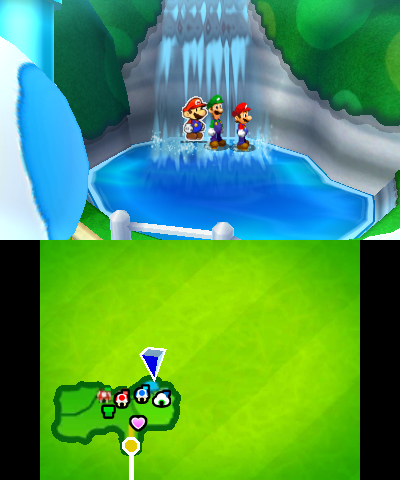 Either way, it’s yet another amazing glitch in Mario & Luigi Paper Jam, which lets you play the game in a completely new way and break the thing wide open. 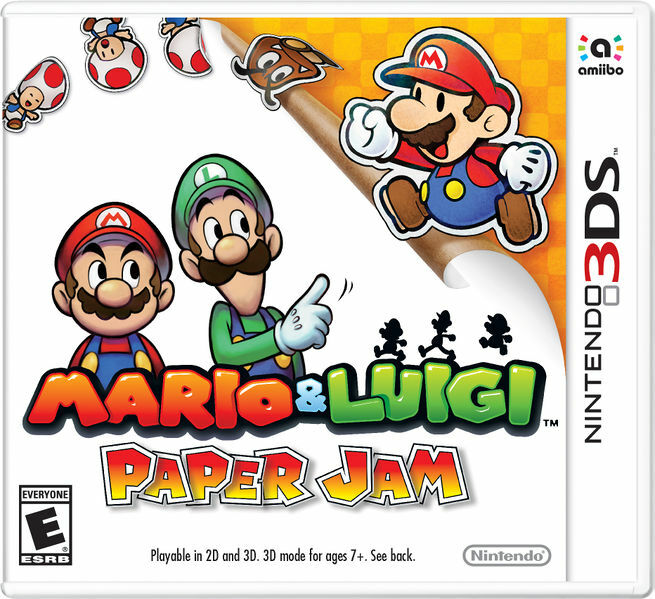 Are you going to be going on a solo adventure with Paper Mario in Mario & Luigi Paper Jam? Hope that makes it clearer. The other video was pretty poor in terms of picture quality, so it was kind of hard to make out.